Is the project defined and do we want to make the investment in this project/product? Do we have a robust design concept (ready to move forward into detailed design)? Is the detailed design sufficiently complete (ready for verification)? Is the completed design fully verified (ready for qualification)? 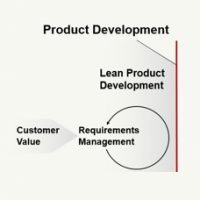 Is the design validated and production process qualified (ready for production)? Is production achieving the intended outcome envisioned at the beginning of the project (revenue, margins, customer satisfaction, etc.)? Are we effectively ending-the-life of the product when it no longer makes financial sense to support it? From a risk mitigation standpoint, we want to avoid investing in detailed design of an inadequate design concept, avoid formally verifying a design that’s still evolving, we want a fully qualified design before production, etc. Also, we’re keeping our “eye-on-the-ball” by focusing on an increasingly mature product/deliverable (good design concept, complete design, verified/validated design) in addition to enabling the ongoing business decision to (continue to) invest in the product. Flexibility can be built-into this framework as needed, however. If the risk is low to formally verify aspects of the design before it’s full detailed, then that’s entirely acceptable. We can also assign milestones and deliverables according to these phases (for example, product requirements completed by the end of the concept phase). Establishing and applying product life cycle process can significantly reduce risk, improve alignment of resources and enable project planning and governance. « Are You an Indispensable Engineer?